Sarah MoskoÂ is a licensed psychologist and sleep disorder specialist living in Southern California. A background in neurobiology and medical research enables her to delve into and explain current scientific research findings which show how our highly industrialized society is polluting our bodies and the environment. 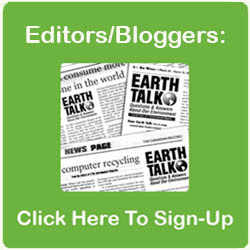 A compendium of her environmental articles is available atÂ BoogieGreen.com. The seaside nuclear reactors at the San Onofre Nuclear Generating Station in San Clemente were permanently shut down in 2013 following steam generator malfunction. What to do with the 3.6 million pounds of highly radioactive waste remains an epic problem. Though President Trump has withdrawn the U.S. from the 2015 Paris Climate Agreement, this is no time for the 70 percent of Americans who believe climate change is happening to recoil in defeat. The vast majority of Americans believe climate change is a clear and present danger — so why aren’t our Congresspersons doing anything to address it? Just as money is no guarantee of happiness, neither is it assurance of protection against all of the frightening impacts of unchecked global warming. A carbon tax is a win-win for people and the planet, as it helps reduce both climate change and ocean pollution by aligning polluters’ incentives with the environment goals of society. The Anthropocene epoch (since 1950) is marked by an unprecedented rate of global environmental change caused by population growth, technological development & resource consumption.